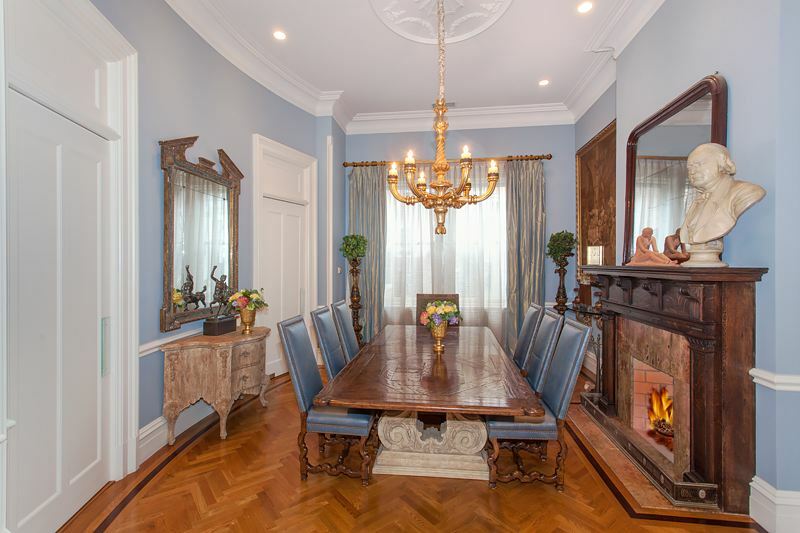 There’s something a little intimidating about an 8,000-square-foot, seven-bedroom single-family mansion that once belonged to “the father of the West Side” himself. 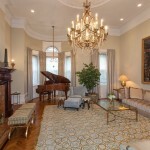 The property in question is 327 West 76th Street, in the Riverside Drive area of the Upper West Side. 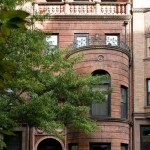 The home was built in 1892 and quickly sold to Cyrus Clark, a businessman who retired from the silk business and went into real estate, making it his mission to campaign on behalf of developing Manhattan’s West Side. The house wasn’t distinct just for its owner, but because the exterior architecture stands out so distinctly in a row of more refined townhouses. For years the home was broken up into apartments, but developer Leonard Zelin converted it back to a single-family a few years back. 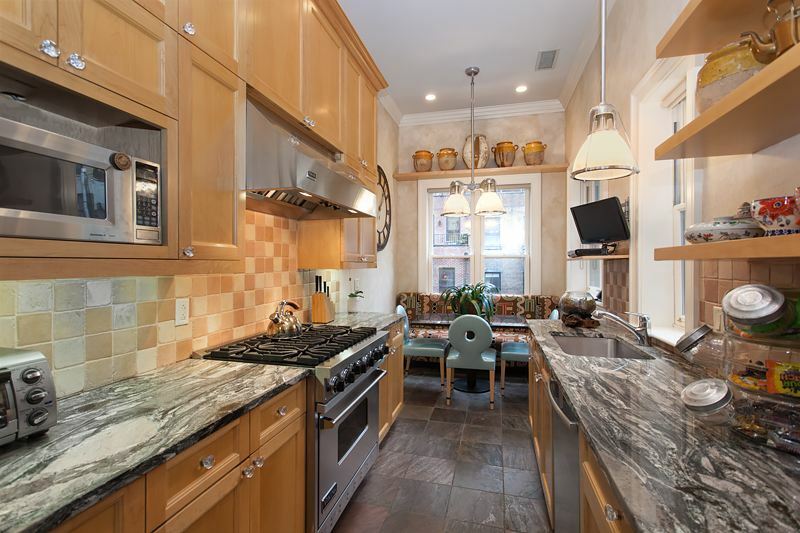 Now he’s hoping the investment will pay off: Zelin bought the townhouse for $8.8 million in 2010 and it’s now asking an impressive $18.995 million. Despite an intensive renovation, this townhouse still retains some details of its former life under Cyrus Clark. 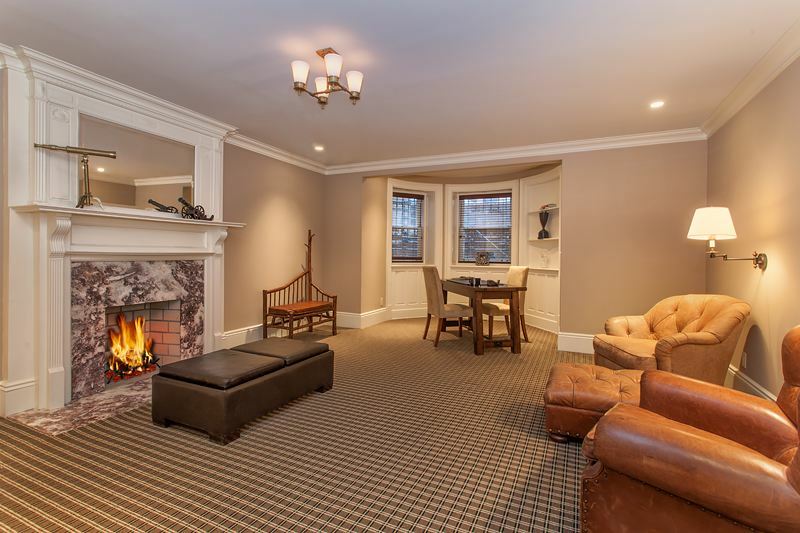 Wood-burning fireplaces with carved mantlepieces, ceiling medallions, moldings, and parquet floors remain intact. Besides a new elevator, there’s a grand oak central atrium stairway. 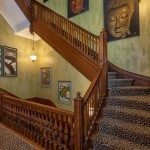 A large reception room leads to the “great room” on the second floor; the living and dining room are located one floor above. 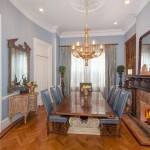 The stately dining room boasts a bay window, French crystal chandelier, and wood-burning fireplace. 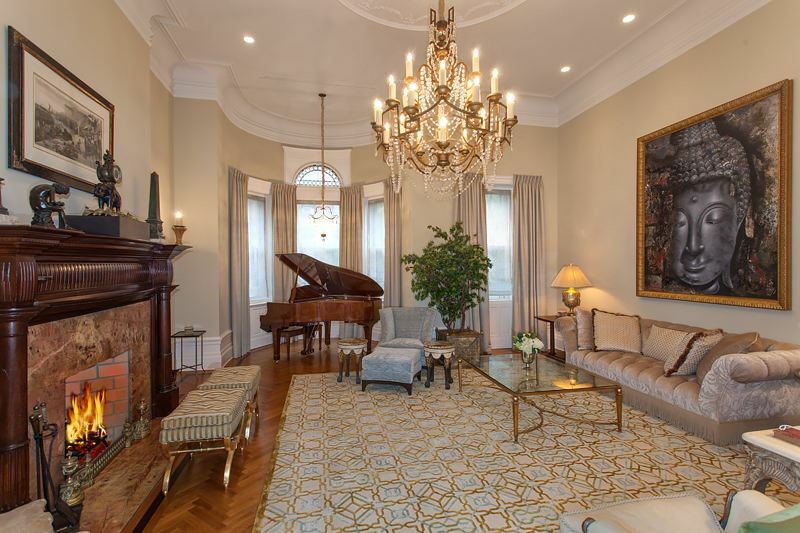 Not to be outdone, the living room also has a French crystal chandelier, ornately carved wood mantle, and a south-facing bay window that offers views to the Hudson River. There are actually two galley kitchens in the townhouse, one off the great room and another off the dining room a floor above. 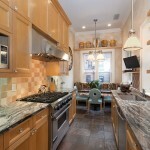 This one is outfitted with granite countertops, stone floors, and a casual seating nook. The owner of this townhouse could have as many as seven bedrooms on the garden, fourth, and fifth floors. 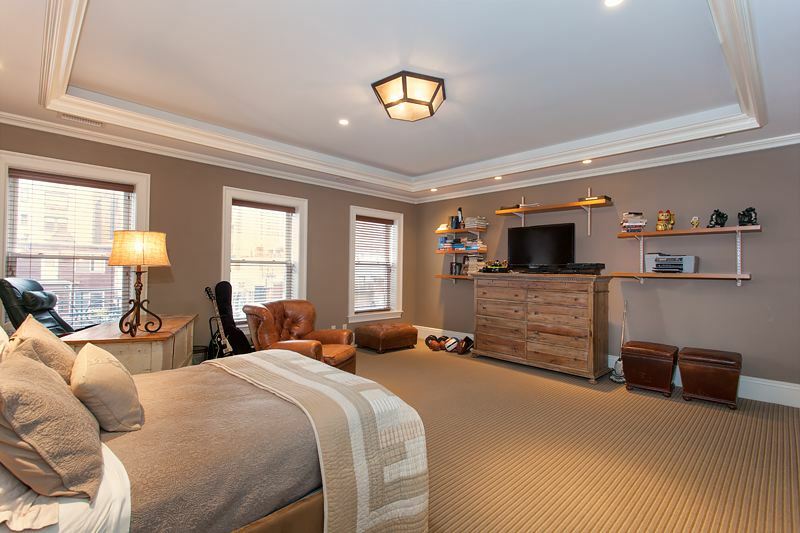 The master suite, on the fourth floor, has its own terrace, a wood-burning fireplace, and a master bathroom with a separate tub and glass-enclosed shower. The second bedroom on this floor–which also has a fireplace–has a Juliet balcony over the house’s front turret. A bedroom on the fifth floor boasts a terrace with stone balustrade and views to Riverside Park. 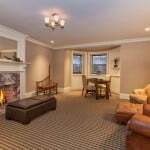 This property has more than enough space to add a game room and casual seating area. This less-fancy stuff is located on the garden floor, which leads out to the backyard. Not pictured in the listing: the penthouse floor, which has terraces, an outdoor hot tub, and more views of the Hudson River. 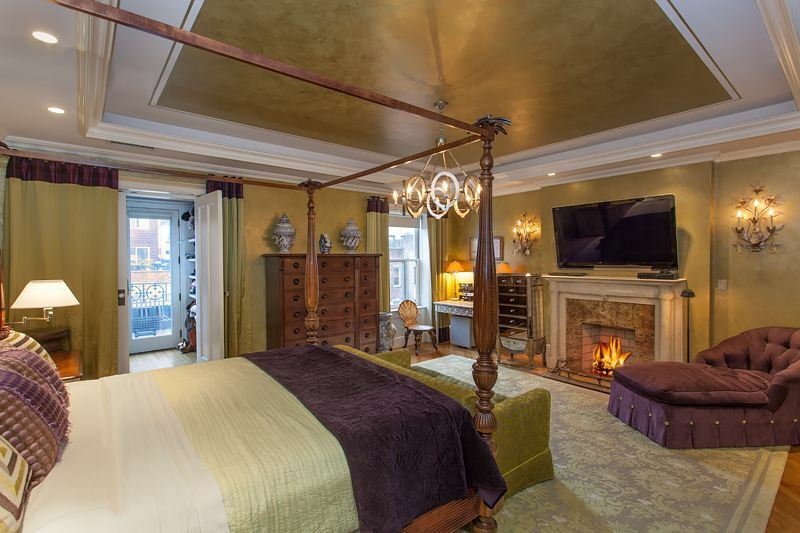 For $19 million, the least you should expect is a rooftop hot hub perched on top of your historic West Side house. Cyrus Clark would be proud.